Sand Sculptures are a unique marketing and public relations tool that can generate media and make noise on social platforms, build on brand image and accompany creative campaigns. 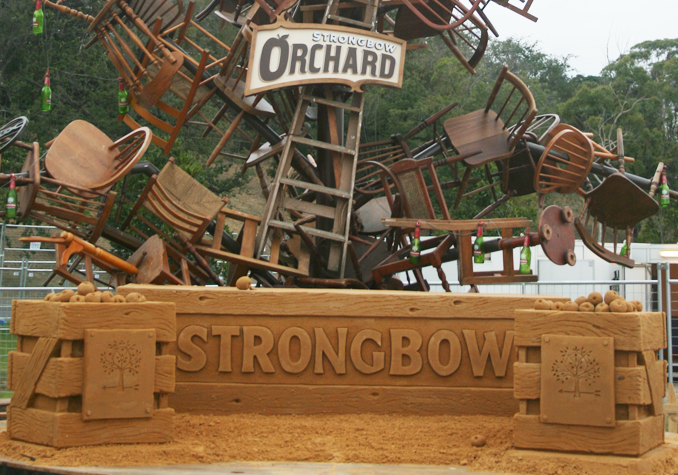 We are Australia’s only award- winning sand sculpting event management company with over 15 year’s experience in building and delivering exceptional quality bespoke sculptures. – just to name a few. 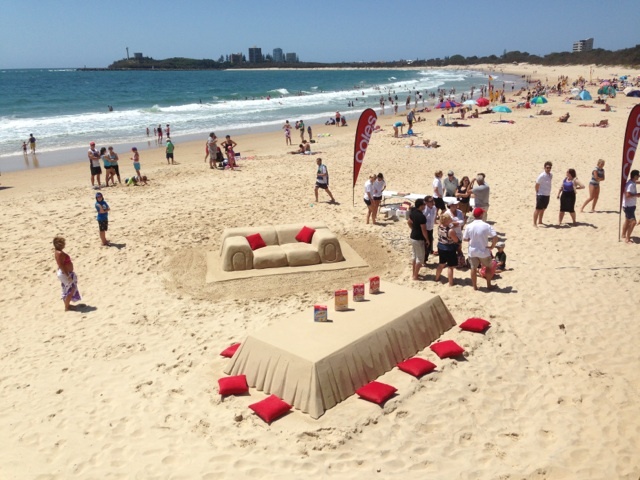 We have created sand sculptures made from Brickies sand in a variety of different locations around Australia including International Airports, Federation Square, Martin Square, Circular Quay, Major Art Galleries, Major Parks and Gardens, Sydney, Melbourne and Adelaide Showgrounds , Crown Casino and the Brisbane, Sydney, Melbourne and Gold Coast Convention Centres. 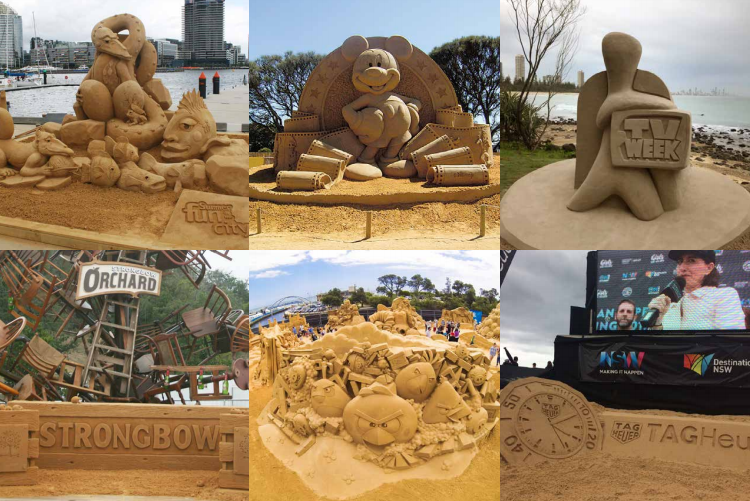 We have also worked on nearly every major beach in Australia created beach sand sculptures– from Cable Beach, Scarborough Beach in WA, Whitehaven Beach and Surfers Paradise Beach in QLD to Manly , Palm and Bondi Beaches in NSW , through to St Kilda Beach in VIC and Glenelg, Brighton and Port Noarlunga beaches in SA. We have not yet encountered a location that we could not work at - solving weight loading, sand, access or reinstatement issues or a client’s concept that we could not bring to life in sand within timelines and deadlines. 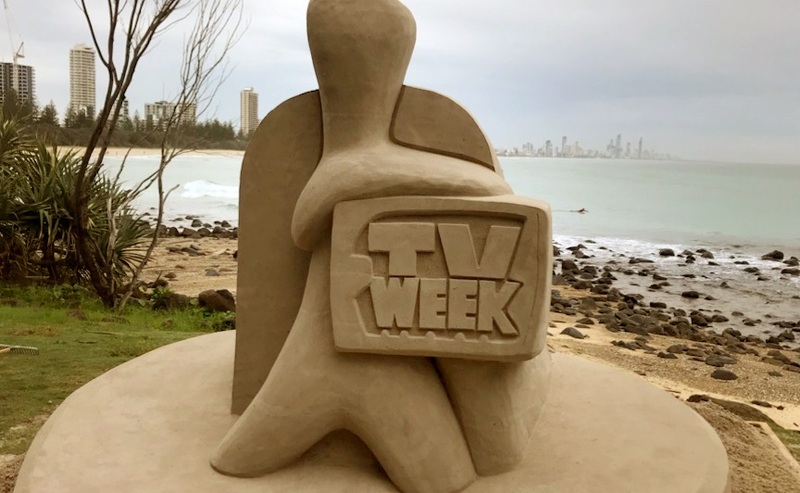 We truly are Australia’s Leading Sand Sculpting Specialists - with a team of dedicated and talented professionals who love this art form - contact us to see how we can work with you to create your vision.